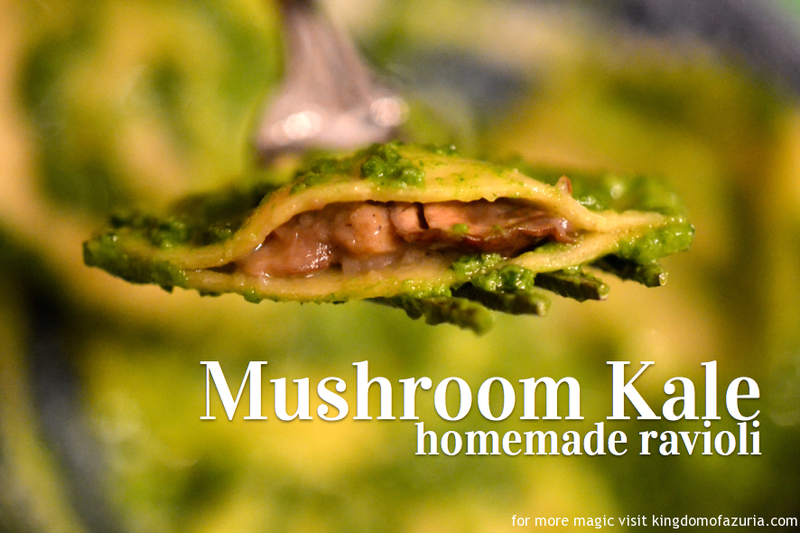 Mushroom Kale Ravioli Filling Recipe from the Palace Kitchen. This is one of my favorite Castle Cuisine posts of all time. It was so tasty. Best part was that we doubled our recipe and had extra filling to make enough ravioli to freeze for later! It’s a long process (with yummy pay off), and I recommend ideally having two people (or more) in the kitchen for this process. This post pairs with our homemade ravioli pasta recipe. 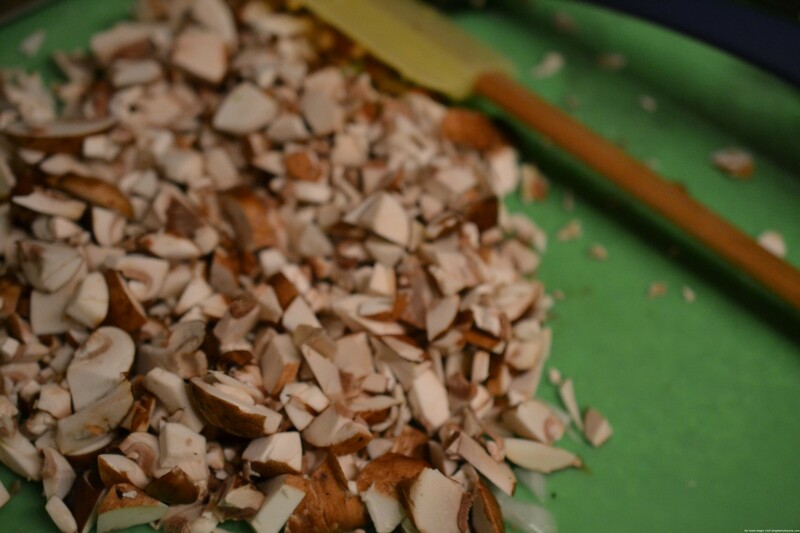 Here’s what you need to make your filling. Dice mushrooms as small as you can go… and then dice them smaller. They need to fit into your ravioli pockets without bursting during the boil. Warm oil in your pan. 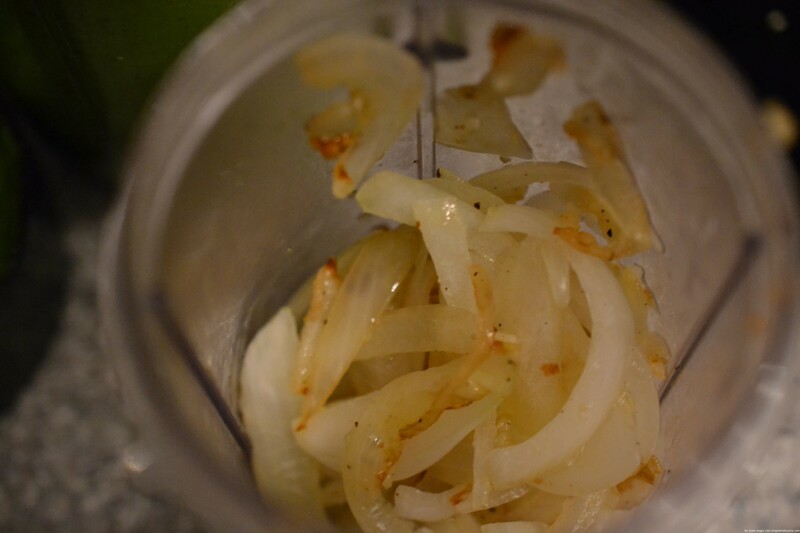 Add a tablespoon olive oil and salt and pepper to taste. 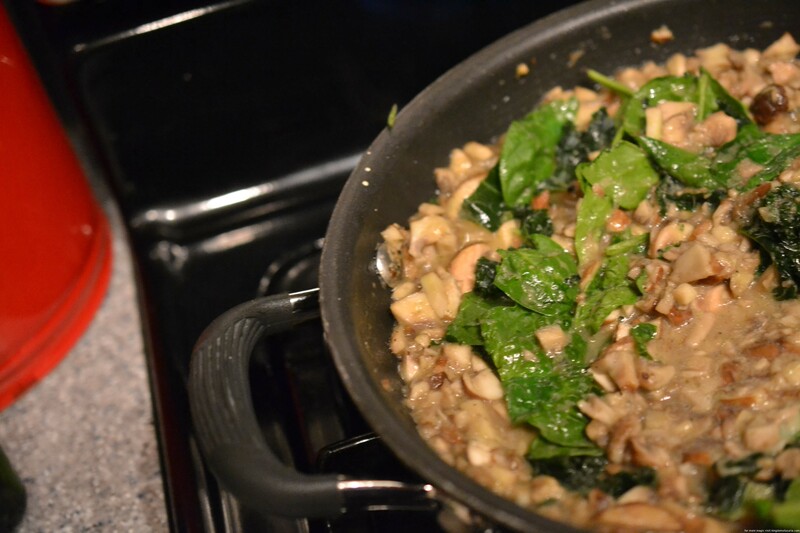 Blend to create sauce to sauté mushrooms in. Combine diced mushrooms and garlic / onion puree and cook for 5 minutes do not over cook mushrooms as they will cook once inside the ravioli while they boil.) They will cook quickly because of their small size. Add chevre and let it melt. Stirring constantly. Wilt the kale – and spinach if you want more greens. When filling the ravioli pockets, you want your mixture to be cool so to not warm the fragile pasta sheets. Let cool and set aside to make raviolis.